Ready To Improve Your Quality Of Life? Chiropractic care can help you manage your pain. Click here to learn more about how we can help you! We have discount plans available that are usually less than most insurance co-pays. 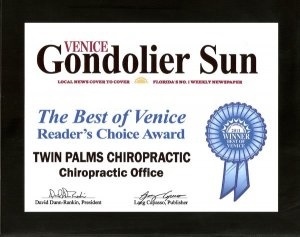 Located in the heart of Venice, Florida, the leading health professionals at Twin Palms are dedicated to helping you achieve your wellness objectives -- combining skill and expertise that spans the entire chiropractic wellness spectrum. 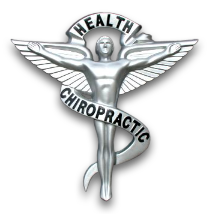 Dr. Dan Busch, Dr. Erene Romanski, and Dr. Mark Carrano are committed to bringing you better health and a better way of life by teaching and practicing the true principles of chiropractic wellness care. Through our partnership with Sarasota Medical Center (SMC) we also offer Primary Medical Care and state of the art Physical Therapy. In addition to our award winning chiropractic care, Twin Palms Chiropractic Health Center also offers full Massage Therapy Services. We have 2 licensed massage therapists on staff. With decades of experience and specializations in Therapeutic Massage, Medical Orthopedic Massage, Swedish Massage, Deep Tissue Massage, Aromatherapy, Myofacial Release, Cupping and more, our massage therapists are ready to help your relieve stress and recover from debilitating conditions. If you are new to our website, please feel free to discover and learn about our office. If you are interested in starting your journey towards wellness please subscribe to our award winning newsletter. If you are already a newsletter subscriber, please explore the member wellness section of our website for wellness articles, resources, and health facts---specifically targeted by Dr. Dan, Dr. Erene, and Dr. Mark to your wellness needs and interests. 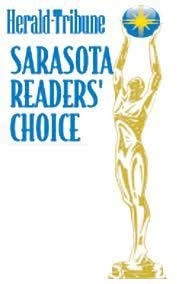 and the Sarasota Herald Tribune!